A gruesome and gory zombie head becomes the vessel out of which you drink! 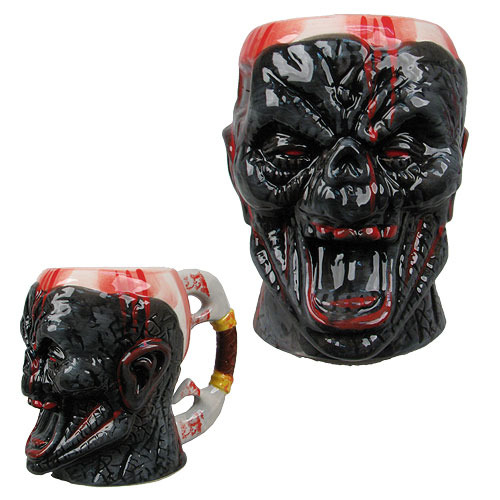 This Bloody Zombie Face Molded Mug features a disgusting bloody zombie head as a cool ceramic mug. Holds up to 16 ounces of liquid. Hand wash only. Not dishwasher safe. Do not microwave. Ages 12 and up.